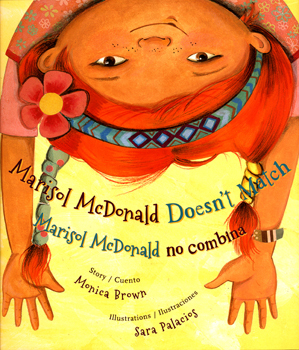 Marisol McDonald Doesn’t Match, by Monica Brown, is my Marisol’s favorite not only because it has her name in it (although that is so cool for a little kid), but because Marisol McDonald is a strong, independent, smart girl. It’s impossible to resist the quirky and colorful illustrations. 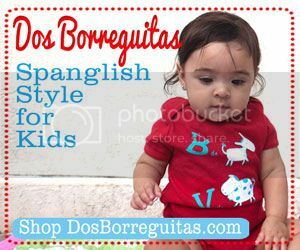 The text is bilingual, and presented in both English and Spanish. The story begins by establishing that Marisol “doesn’t match” because she has her Irish dad’s red hair, and her Latina mom’s brown skin. She also likes to wear bright mismatched clothes in whatever combination pleases her. Even when she plays, she doesn’t like to be limited to just playing one kind of game–she wants to play pirates and soccer. She tries to match one day and, thankfully, finds that matching is possible, but not that much fun. She decides, along with her teacher’s support, to go back to being exactly who she is. The story touches on issues of race and gender, but doesn’t do it in an obvious way. The kids in the story are of different races, and it’s never mentioned. Most of all, Marisol McDonald’s story shows that we don’t need to conform in order to be loved. 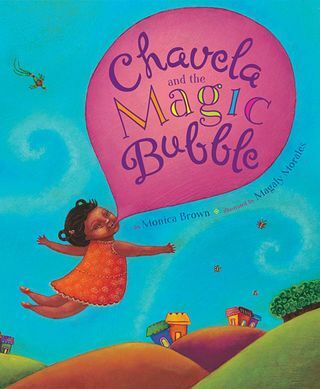 Chavela and the Magic Bubble, also by Monica Brown is my little Lucia’s favorite book. She squeals with delight every time we read it. I think it’s because of the amazing illustrations which are rich and vibrant. Like Marisol McDonald, the text is complete in both languages, so you don’t need to know Spanish to get the whole narrative. 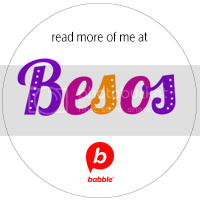 The story is simple and sweet–little Chavela loves bubble gum and one day her abuela buys her a piece of magical gum. This gum takes her flying into Mexico to a chicle farm, where she meets a little girl who tells her of the farmers who harvest the chicle. In the end, it turns out that the little girl she met was Chavela’s own grandmother, sharing the family history as agricultural workers. The story is magical and tender. The relationship between the grandmother and granddaughter is portrayed lovingly and made me nostalgic for my own abuelita. 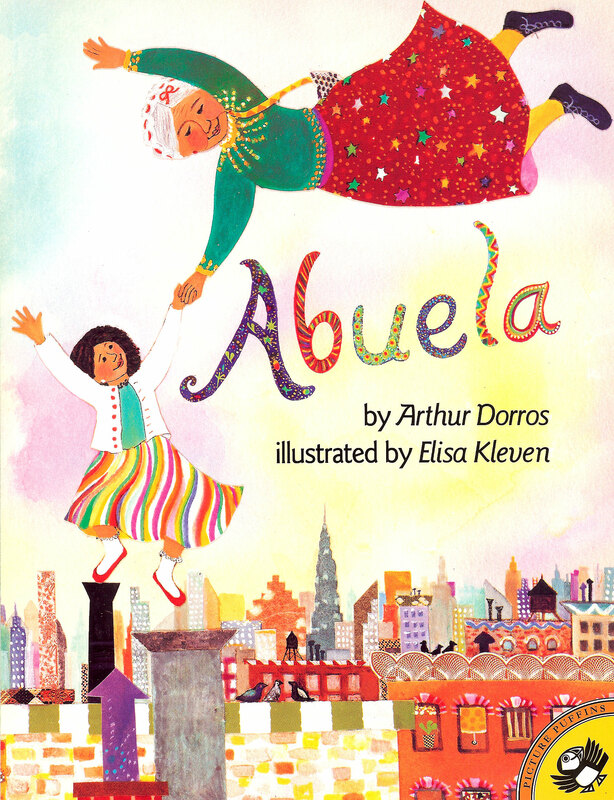 Abuela by Arthur Dorros is available in both Spanish-only and English (with a few Spanish phrases) editions. As you can see from the cover, the story is full of whimsy and joy. We get to follow along with Rosalba and her Abuela who is not only kind and caring, but adventurous and wise. They ride the bus and then in a flight of fancy, go soaring into the sky to visit the Statue of Liberty, her papá, and other family members spread across the great city. Each picture is filled with lovely details and everytime you read it, it’s possible to notice something new, which is great for engaging our little ones. Most importantly, this story celebrates the relationship between Rosalba and her Abuela, who even as one adventure ends, is ready to take her granddaughter on another one! Del Ombligo de la Luna y Otros Poems de Verano by Francisco X. Alarcon is a collection of poetry for children in both English and Spanish. I particularly love introducing the girls to poetry at this early age, when dreaming up poetry of their own is so easy and natural. A great indoor activity for our little ones during a hot summer afternoon might be to read this book and then create original poems about their favorite summer memories. The illustrations and the poems are fun and sweet. They are recollections of the poet’s own childhood and convey both tenderness and nostalgia. If you like this collection, the poet also has other collections of poetry for the other seasons, and my favorite of those isIguanas in the Snow ( just the title is amazing, isn’t it?). 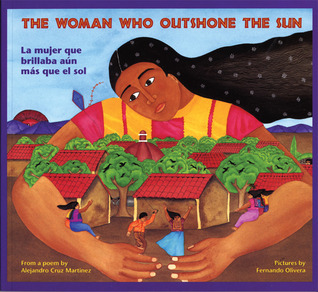 La Mujer Que Brillaba Aun Mas Que El Sol, by Alejandro Cruz Martinez is a poetic retelling of an old Zapotec leyenda. Lucia is a magical character who the village people mistreat out of fear. She is powerful and kind. After the village people realize that they were wrong to be mean to her, she forgives them and saves their village. This story teaches tolerance for people who are different as well as forgiveness. It’s a deeply magical story, but simply told so that children can easily be drawn into the legend and learn its timeless wisdom. If you have other Spanglish books that you think make for great summer reading, please share in the comments. 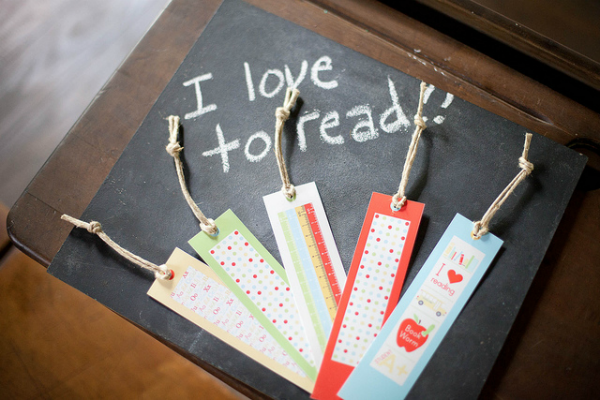 We are always looking for more books for our little bookworms! * I originally posted about these two Monica Brown books on my blog, but they are still our top two favorites, so I had to include them here, too! This is a really cute one, and it’s presented equally in Spanish and English. Great list! I will be sharing this post with my social networks. Thanx for the info. Eek-now I’m not sure that link has it in Spanish, but Barnes N Noble online does…buena suerte! Just in case you haven’t written about this one already: we love “Hola Jalapeno” by Amy Wilson Sanger. It’s from the “World Snacks” series of board books that includes “Yum Yum Dim Sum” and “Mangia Mangia!” It’s in English with all the food words in Spanish. Although it’s ostensibly a book for toddlers, I’ve read it with first graders who thoroughly enjoyed it. 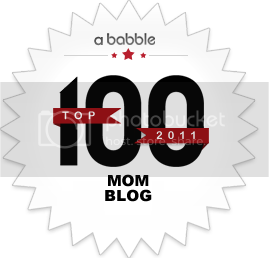 Fun list–thanks for sharing! I’m always eager to learn about fun picture books that will introduce my kids to other cultures.